The Wilson's Warbler is a small bird of the warbler family. Males of the species can be recognized by the black cap they sport. Females have a lighter crown patch or none at all. Both sexes have similar body plumage: yellow underparts and olive-green upperparts. This is our totally cute Birdorable Wilson's Warbler! You can customize this gift! 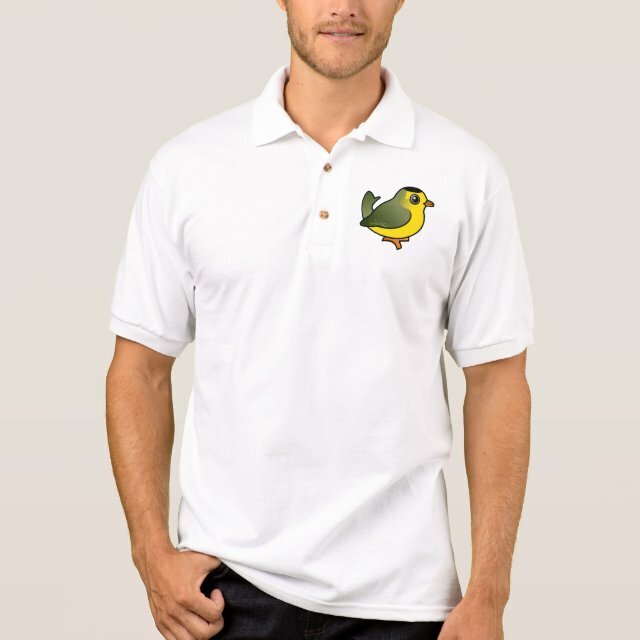 Move the bird around, change the color or style, add your own text or images -- make it your own! The Gildan Ultra Cotton Tank is a must-have for summer days. Made of 100% cotton, this top will keep you comfortable no matter how hot the weather gets. Wear it while doing yardwork, playing volleyball on the beach, or simply hanging out.